Russia and France will pool their efforts to build cutting-edge reusable space rockets, Prime Minister Vladimir Putin said on Friday. “Russian and French engineers are already working in this direction under Project Ural,” Putin told a news conference after a meeting of the Russian-French cooperation commission…. 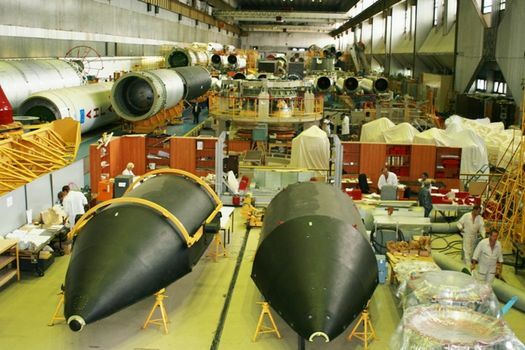 The 15-year Ural program to build advanced reusable carrier rockets was adopted in 2005…. The project is still at the conceptual stage as the type of rocket engine – hydrogen, kerosene or methane fueled – has yet to be determined. 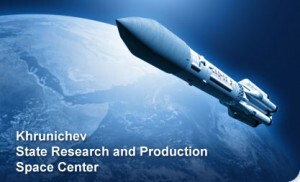 The reorganization of the Russian space industry continued on Friday as Roscosmos Head Vladimir Popovkin announced plans to create of a new rocket building holding organization and to replace the management of the Khrunichev State Research and Production Space Center. 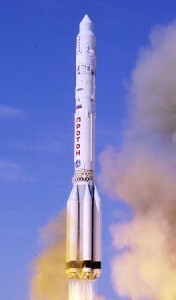 Roscosmos Head Vladimir Popovkin announced the plan in remarks before the State Duma, according to Interfax. The report doesn’t say why the move is being made, but it appears to be an attempt by the Russian space agency to tighten control over the industry. Russia’s Solution to Roscosmos Problem: Militarize It? As engineers continue their investigation of the Soyuz launch failure (a malfunctioning gas generator is to blame) and rejigger their launch schedule, a far more important question is being debated: what to do about the suddenly bumbling Russian space agency, Roscosmos. One possible answer emerged this week: re-militarize it. The Russian Federal Space Agency Roscosmos said on Wednesday it is considering returning the federal space program to the framework of the state defense order to ensure steady financing and reduce the number of accidents with space launches. 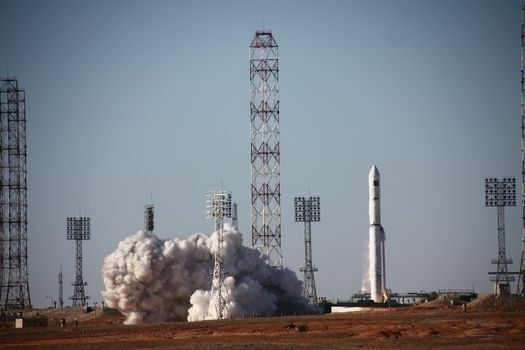 Roscosmos has cleared the Proton-M rocket and the Breeze-M upper stage for flight after an inquiry found that the recent loss of a communications satellite was caused by a programming error in the third stage’s guidance system. “Following analysis of information, the commission has concluded that over formation of the mission profile for the Briz-M upper stage, the time interval of sub turning of the gyro-stabilised platform was cut unreasonably. This caused the incorrect orientation of the upper stage and, consequently, failed to bring the satellite to the designed orbit,” Roscosmos said in a press release. The failure stranded the Express-AM4 satellite in a useless orbit. Controllers have been unable to contact the satellite, which was designed for digital television broadcasts. Russia has suffered four launch failures in less than nine months. Russia has until late November to determine a fix for the problem that caused a Soyuz rocket and Progress freighter to crash last week or the crew will have to temporarily abandon the International Space Station, a NASA official has told Spaceflight Now. The problem, ironically, involves not station operations but rather harsh winter weather at the Soyuz landing site in Kazakhstan. 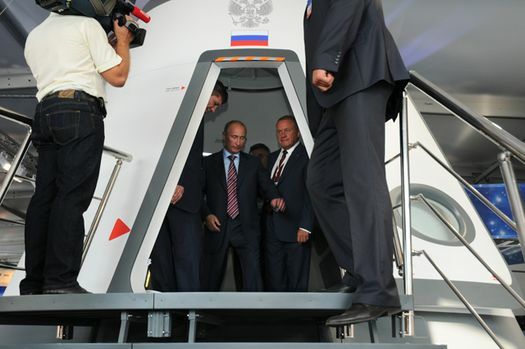 MOSCOW — August 19, 2011 (Energia PR) — In Zhukovsky, Moscow region, the 10th International Aerospace Show (MAKS-2011), which was held on August 16 through 21, has completed its work. The Corporation’s stand, which was a part of the joint exhibit of the Federal Space Agency (Roskosmos), was a continuous focus of attention for a great number of visitors, among whom there were specialists from aviation and space companies of Russia and other countries, scientists, representatives of business circles, university students and teachers, veterans of the industry, journalists, aerospace aficionados. 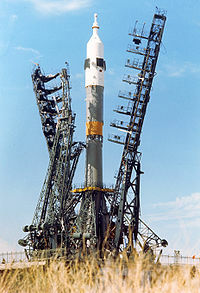 The previous leadership of Russia’s space agency Roskosmos “paid little attention to the production and operation of spacecraft,” concurred Konstantin Kredenko, the editor of the specialised Vestnik Glonass magazine. Experts blamed the changing priorities of post-Soviet society, with once privileged scientists in the space sector now earning miserable salaries. “This will go on as long as people considers that an engineer in the space sector can earn half as much as someone who sells cell phones in a kiosk,” Lisov said. “This is a matter of priorities and the values of society. When consumerism becomes the top priority, this leads to a crisis. Uh-oh. 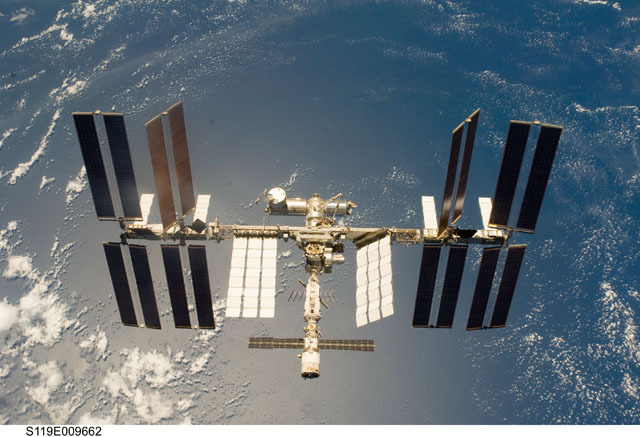 The International Space Station program is now largely dependent on a space program that has been in long-term decay for 20 years and has deep structural problems that can’t be fixed any time soon. Congress needs to fund commercial crew properly. And the Russians may need to pull back on some of their more ambitious projects (new rockets and spaceport) to rebuilding its human infrastructure. Roscosmos Head Vladimir Popovkin was in Voronezh over the weekend where he witnessed the test of an upper stage engine destined to fly aboard Soyuz and Angara rockets. On Saturday, Popovkin visited the Khimavtomatiki Design Bureau and Voronezh Mechanical Plant, where engineers successfully fired the RD-0124 engine on a test stand. The kerosene/LOX engine is slated to fly aboard a Soyuz 2-1b rocket carrying a GLONASS-K spacecraft at the end of this year. It also will be used on Soyuz-ST-B that will begin flying from Kourou this fall. A modified version of the engine will be used on the new Angara rocket being developed by Khrunichev State Research and Production Space Centre. That rocket is scheduled to make its first test flights in 2013. 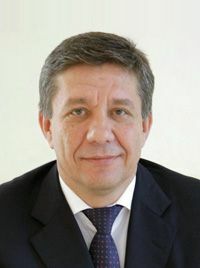 According to a Roscosmos report, Popovkin said that the Voronezh KBKhA will have many engine orders by 2020 for both civilian and military launches. Roscosmos has posted the transcript of an interview that Vladimir Popovkin gave to the Russian newspaper Kommersant. The space agency chief touches on a wide range of issues, including space tourism, the budget, the restructuring of Roscosmos and the Russian space industry, and the future of the Angara rocket. 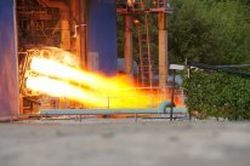 Russian rocket builder Khrunichev opened up its doors for a media tour on Aug. 4 to show off its production facilities. The resurrection of Russia’s space science program continued today with the launch of the Spectrum-R astrophysical observatory aboard a Zenit rocket from the Baikonur Cosmodrome. 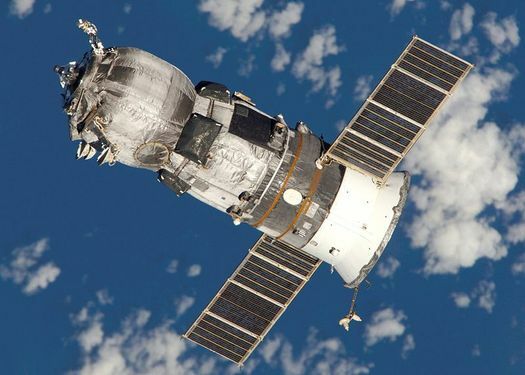 Roscosmos reports that the satellite separated from its Fregat-SB upper stage and is headed for its intended destination 340,000 kilometers from Earth. Roscosmos PR — Roscosmos delegation has taken part in the opening ceremony which honors the first spaceman – Yuri Gagarin – in London. 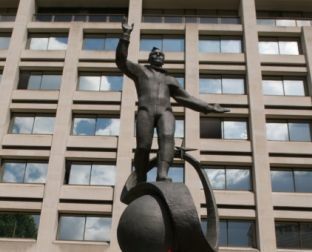 The figure placed just off The Mall features the cosmonaut in his flight suit and standing on a globe. The statue is a gift from Roscosmos to the British Council, the organization that represents the UK culturally abroad. The monument is a copy of one sited in the town of Lubertsy, just outside Moscow, where Gagarin trained as a foundry worker in his mid-teens. Will Russian Space Plans be Derailed By the Olympics?